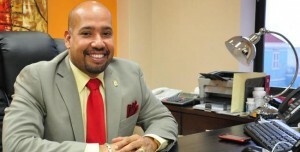 WILLEMSTAD, CARACAS - The Public Prosecutor Curaçao (OM) confirms that the former Minister of Finance George Jamaloodin who was arrested last Friday in Valencia, has now been transferred to the Venezuelan capital Caracas, where he will be brought soon before the Court that has ordered his arrest. The OM expressed its great satisfaction with the actions of the Venezuelan authorizes and the good cooperation between the Public Prosecution in Willemstad and the Prosecutor's Office in Caracas. The prosecution Curacao hopes soon to get more information about the continuation of the legal process and the extradition of the accused.